Housing prices rates and have not been this good for at least a decade. So are you ready to buy a home? We will help you figure out the answer to that in this article. Are you a first time home buyer? 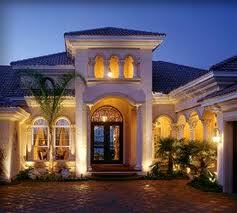 If you are there are advantages to you buying a home, such as, tax breaks, interest free loans, etc. To find out more about these opportunities visit: www.dca.ga.gov/housing/Homeownership/programs/GeorgiaDream.asp. If you are not a first time home buyer; there are still plenty of reasons to purchase a home. First, as previously stated, the rates and prices of homes have not been this good for a decade. So you can purchase more home for less of the price; or you can save on the house you would have purchased. If you are interested in looking for a home, make sure to figure out how much you want to spend and what interest rate you want. There are mortgage calculators you can use to figure out what the payment will be like on different homes. It will be easier if you get pre-approved and also help you secure a house faster when you find it! It is always best to be prepared when making decisions. Try to make the payment 1/3 of your take home pay or less; that will ensure you are not overwhelmed with your payment. When looking at a home make sure that it will not be a money pit. Fixing up a home is a good idea, but make sure that you will have the time and money to dedicate to these projects. If you do not have time for extra projects then play it safe when looking at what a house will need. The bathrooms and kitchens sell a home. Make sure that you will not throw a lot of money in other areas of the house if you are not looking to stay there long term. We hope this article was helpful and good luck with searching for your new home! Do not hesitate with any questions and as always we love your feedback!